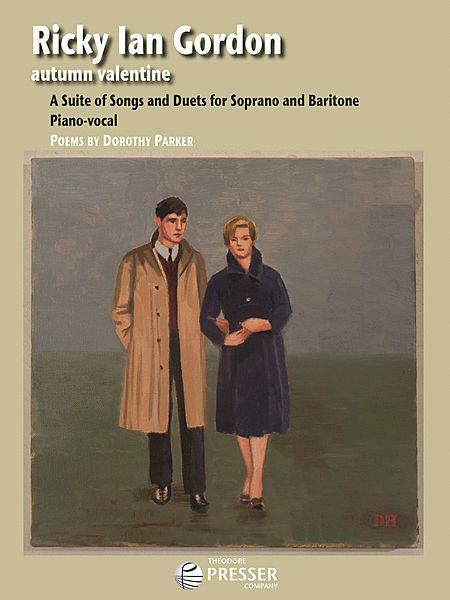 Gordon's Autumn Valentine was created in collaboration with the premiering artists: soprano Angelina Reaux, baritone Michael Sokol, and director Kieth Warner, all poring over the short stories and poems of Dorothy Parker. In the end, Gordon composed a cycle of eleven songs and duets which tell the tale of a failed marriage. Unlike traditional opera, in Autumn Valentine, no one dies. Selected songs already appear on YouTube - listen as Audra McDonald sings The Red Dress, while Gordon, himself, performs Bric-a-Brac in a beautiful video.